Acne is treatable with a prescription, over the counter medication, or home remedies. When battling with acne, it is vital to have a customized skin care routine. Sometimes, after you have treated your acne, you are left with dark spots or otherwise know as acne scars. New acne scars are easy to fade compared to older acne scars. When it comes to treating your acne scars, sometimes home remedies are the best. When treating acne scars, home remedies are far cheaper, and you can find most of the ingredients in your kitchen. 1. Lemon Juice: Lemon juice is rich in Vitamin C. Therefore, it is helpful in lightening your acne scars. 1. Mix two teaspoon of raw honey with one tablespoon of fresh lemon juice. 2. Use your fingertips to massage gently into clean skin. 3. Leave on until dry, rinse with cool water, and pat dry. 4. Repeat twice a day until scar fades. *Use SPF 30 when you are going outside. 2. Baking Soda: Baking soda has amazing exfoliating properties. Exfoliating helps to remove dirt, dead skin cells, and oil that is trapped in the skin. Using baking soda can help fade your acne scar. 1. Mix baking soda and olive oil into a paste. 2. Apply on the scars and massage it for 5-7 minutes. 4. Repeat twice a day until scars fade. 5. Apply your favorite moisturizer. 3. Aloe Vera: Aloe vera is a natural skin lightener that can get rid of your hyperpigmentation. 1. Extract the gel from the aloe vera plant. 2. Apply the gel to the clean affected skin. 4. Wash in the morning. 5. Apply your favorite moisturizer and use SPF 30 when you are going outside. 6. Store the remaining gel in the fridge for future use. 4. Honey: Raw honey is great for fading acne scar. Honey is a natural antibiotic and an anti-inflammatory agent. It is a natural moisturizer and therefore great for healing your acne scars. 1. Combine two teaspoon honey and two teaspoon nutmeg powder in a small bowl. 2. Apply the paste to a clean face. 4. Wash off with cool water. 5. Use your favorite moisturizer. 5. Almond Oil: Almond oil helps remove pigmentation and dark spots from your skin. It contributes to soothing and nourishing your skin. 1. Mix equal parts of almond oil and coconut oil. 2. Apply to cleansed affected area and massage for 2 minutes before going to bed. 4. Rinse in the morning with cool water and pat dry. 5. Repeat process until acne scar completely fades. 6. Bentonite Clay: There are soo many fantastic benefits to using bentonite clay. It helps to reduce blemishes, tones and tightens the skin, draws out toxins, and exfoliates the skin to reveal younger, healthier, and glowing skin. 1. Mix two teaspoon of bentonite clay with water. 2. 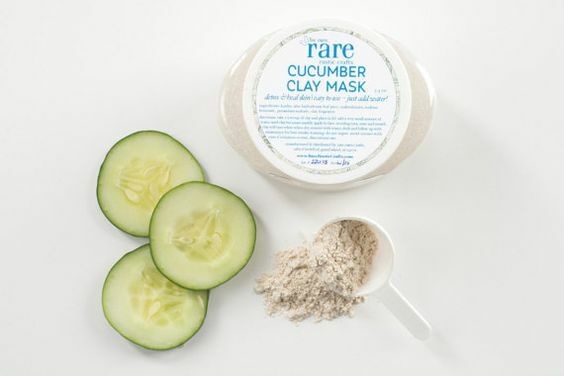 Apply clay mask to your cleansed face. 3. Leave on your face for 20 minutes. 4. Wash of clay mask with lukewarm water, pat dry, and apply your favorite moisturizer. 7. Olive Oil: Olive oil is an excellent solution for removing dark spots. 1. Before bedtime, apply a small amount of Extra Virgin Oil to the cleansed affected area. Massage oil into the affected area for two minutes. 3. Wash off in the morning with lukewarm water, pat dry, and apply face moisturizer. 8. Apple Cider Vinegar: Apple cider vinegar has Malice Acid which contains antibacterial, antiviral, and antifungal properties. Apple Cider Vinegar has amazing exfoliating properties. 1. Mix equal parts of apple cider vinegar and water. 2. Using a cotton ball, apply the solution to the affected area. 3. Leave it on for three minutes, and then rinse off with lukewarm water. 4. Pat dry and apply your favorite moisturizer. 5. Use this apple cider vinegar remedy twice a day until scar fades. These home remedies are inexpensive and easy to make. Using them daily can help fade your acne scars. Remember, Consistency is key. Thanks for sharing! Ive tried most of these & they do work. Have a fabulous 2017!